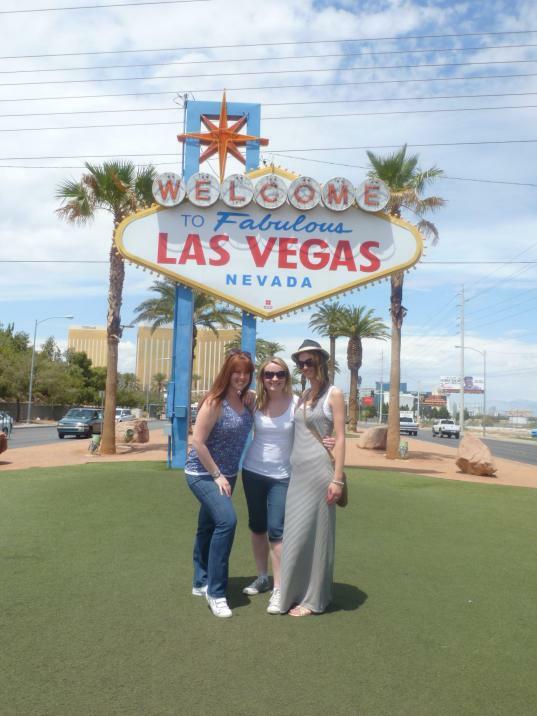 Las Vegas, LA & San Francisco - Blog from Las Vegas, Nevada | Margaret in Wonderlands.. Hangover trip of a lifetime coming up..Michelle dropped me and Aimee to meet Dan Matlock from Ladbrokes. We headed to Gatwick airport with him as was he heading there for a work conference so it was a nice free taxi for me and the girls. We flew with Virgin and it was my first time and they were nice. It was a very bumpy landing though and one woman did not survive without the sickbag!! We arrived in Las Vegas to the warmth and headed to the Excalibur hotel. After a little freshen up we headed out and had our first all you can eat dinner bueffet. It was ok but it was a random hour to be eating and my body clock was all over the place, we still filled our plates though!! We set on our way to see the first sights of Las Vegas. It was pretty surreal wondering around and seeing all the sights that I had seen on TV, in pictures and more importantly in films! We saw many Hangover look alikes in the shape of Alan. We should of taken a picture with him as we missed out on doing it :( We saw a man passed out on the floor in broad daylight.. welcome to LV! We walked around to the end of the stripe. We saw the volcano explosion at the Mirage and we saw the water fountains display at the Bellagio. Both were pretty stunning. We wanted to stay out longer and see the pirates show at Treasure Island but we were all pretty shattered so headed back and went to bed at half 9. By then it was about 4/5 UK time so we did pretty well to stay awake. On the Sunday I woke up and had a horrific sore throat. We went to a place within the hotel for breakfast and had pancakes but golly gosh these were massive and think we all struggled. We checked around and looked at theatre trips and trips to Grand Canyon. We then went and sat by our pool, the weather was a bit mixed so it wasn't great sunbathing weather which was unfortunate. Later on that night we then went to the Mandalay Bay hotel near to us to have a delicious cocktail and it had pretty epic sights of the strip. Aimee got into a disagreement with the bartender over a misunderstanding with tips. She was pretty mad! Americans and their tipping! We then had dinner at the restaurant there which was our most expensive meal of the trip but was totally delicious. I had lobster for the first time and chicken. Yummy, even writing about it makes me hungry again.We then headed for a club at Ceasars Palace called Pure. It was pretty small as they had part of it closed off. We stayed for a bit then headed to the Venetian to try and go to Tao but it was closed so we ended up in a bar for a few drinks. Think it might if been hard rock or something. We then headed back to the MGM to Hakkasan but it was $30 and we didn't plan on staying out much later so we decided to head home. All in all it was an ok night but i think we all had higher expectation about a night in Las Vegas!! Tuesday we chilled by the pool but the weather changed and turned pretty nasty so we went shopping. Well Michelle did the shopping and me and Aimee did the browsing but we wondered around the malls and had some lunch. I had some Greek wrap I think. Later that night we went to the Venetian to go on the gondolas which were fabulous and were a replica of Venice. Our lady sang to us as she rowed us down the canal. It was spectacular. We then headed to New York, New York and me and Shell went on the rollercoaster which was funny. We then went to the show Fantasy and watched that which was pretty funny and raunchy with Dan at the Luxor. It had a bit of comedy in the middle with this guy and he had us crying. Aimee in particular was enjoying him. There was a Shakira lookalike with the voice of Christina Aguilera. Afterwards we took some pics and headed back to the hotel as we had a really early start on the Wednesday to see the Grand Canyon. Wednesday we woke up early and headed for the Grand Canyon via a helicopter. I think we were picked for 6.30. It was pretty early to say the least. I ended up in the front with Aimee so was pretty happy with that. It was my first time in a helicopter and felt quite random. We were hoovering slowly in the air towards our destination. Saw some gorgeous sights of the Grand Canyon. We then touched down to take some pictures and have some breakfast. Champagne breakfast and mini pastries, all good. I was in the back on the way to refuel. On the way back we stopped in Boulder city to let the Russians out, well I think they were Russian. Me, Aimee and Shell sat up front for the last leg of the trip. After we checked out, we went and played on the machines to make sure we had a gamble in Vegas! We had no idea what we were doing but played along! We then went back to the mini airport and I opted to choose a picture of the experience, Aimee did as well. We then went to hire our car from the airport and had a massive SUV. We had to ask a man how to put it into gear (the shame) and i took the first shift of driving it. It was a bit scary and getting used to the left hand drive but once I got then hang of it, it was all fun! We went and saw the Las Vegas sign and took some pictures before we headed for LA. It took about 4 hours I think to drive to LA. We stayed in a Holiday inn style place and checked in. We then went to get directions and jumped on the train to Hollywood Boulevard. They were filming the second muppets film so that was pretty cool to see that. It was much cooler in LA, which we did expect to a certain degree but at night it was really cold and had not brought enough warm clothes with us, brrrr! Thursday we got the hotel bus to the Universal studios and got dropped there, where we took some pictures. We then got a bus tour around LA. We saw the Chinese theatre, Beverley Hills, Rodeo drive, Hollywood sign from afar, Viper room, Sunset room, Nickelodeon studios. We got off at Santa Monica and walked around the beach and pier. Aimee had her corndog which she was determined to have. We saw the Bubba Gump Shrimp restaurant and saw on the bench which was a replica of from Forest Gump. We went to the lifeguard tower and recreated scenes from Baywatch :) Ha, well tried to. We then got on our tour bus and headed back, we saw the most beautiful sunset as well before the rain started. We misjudged timings so we didn't get back to the hotel until well gone 9. We were due to head out for dinner and a few drinks. We spoke to the reception staff and they said all restaurants would be closed so the girls opted for take out. We then ended up staying in. On Friday, we had our last breakfast at the hotel restaurant which were delicious. Poached eggs, mini potatoes and spinach and a hash brown style bit. We headed for the Hollywood sign and took some pictures on a drive and looked for Mulholland Drive. We followed a tour bus :) We then then we hit the road for Cambria. It was a couple of hours drive. Cambria was really pretty and we got to a cabin style place. We went for a walk around a coastal mountain path which was gorgeous. We then went to a fish style restaurant and had some delicious food before we headed back to our cozy little hotel. On Saturday, we headed for San Fran. We stopped at a spot and saw a beach full of seals, there must of been thousands. We drove the coastal drive and it was gorgeous, we went through the Limekiln national park. We stopped at Nepenthe restaurant which Clyde had recommended which had breathtaking views of the coastal route. There was a lot of low lying cloud so we did miss a bit of it :( We then ended up on the route 101 bound for San Fran. After a lot of driving around union square to find the place to drop the car back, we eventually ended up at our hotel Vertigo. Yes, the one from Hitchcock's film :) We went out for some Chinese food at the House of Nanking which we were recommended. We queued for a good while but it was well worth the wait. Sunday, We took the bus and headed for Pier 39!. There was no missing the trams which dominated the streets of San Fran. We wondered around the pier taking in the shops and sights. Michelle went to meet her friend for lunch whilst me and Aimee went off and checked out Jonny Rockets diner where we tucked into burgers and milkshakes. We picked up some presents and I got a San Fran hoodie. We saw the golden gate bridge and chilled on a mini beach near our bus stop. San Fran was due to be the coldest but we were pleasantly surprised it was warm. I even got a triangle mark from wearing a cardigan. The breeze made it feel cool but the burn was still there. We then headed for a walk around union square and into shops. In the square, they had a heart on each corner, slightly different colours and print on it but a very nice touch to the square. There were mini markets in the square of arts and crafts. We then went and had some pizza at a little take out. They were massive but delicious. That night we headed for a few bars near our hotel. Aimee didn't have ID so she wasn't allowed to drink :) We went for a wander around and then headed back. On Monday, we took the bus tour and saw the steepest street in San Fran , Parliament buildings and Art galleries, China town. We then got off at the habour where we went to get our bikes to do the bike tour of San Fran. We set off with the map to follow to head to Sausalito. we went pass the Crissy fields, past fort point, stopped and took many pictures at various points. We then headed for the bridge, but who knew that an accident was about to happen. The bridge is laid out so there is big fences separating walkers/bikers and cars. Aimee took some pictures of me bike riding (her from behind) I took some pictures of Aimee and Michelle from behind. I had the camera in my right hand with the strap wrapped around my wrist. I realised i wad getting pretty close to Aims and some people walking so I switched off the camera and then stupidly pulled the left brake. This stopped the brake very abruptly and i ended up flying over the top of it. Pretty funny but not at the same time. I heard this American woman scream. Oh my god is she with you. This couple and Aimee came back as I was sprawled on the floor. I did kind of laugh about it. I got up and the couple pressed the emergency button to raise some attention. I could feel my left arm was in pain but not to bad. After a while and no one came so i decided to get on the bike and head on for Sausalito. I hoped it wasn't to far. A nice man helping bring the bikes across the bridge gave me some cleaner and plater to put on my right hand. It was pretty tore up and sore. I could feel my left arm felt sore but not to bad. It felt uncomfortable stretching it out and going down the roads on the bike were really painful. It turned out it was about 8km to the town and it was all downhill. It was pretty scenery and we got to the little town. We went to a little cafe and got some food and i found a pharmacy and got an ice pack. We then got on the ferry back and a nice man got me more ice to put on my arm. When we got back I was worried about bike damage but the bike and camera came off ok so we managed to get the bikes back in time. We then got back on the buses and went across to the national park and around the surrounding areas. We saw the military graveyard, Disney studios, we saw the beautiful Victorian houses .We then went and got milkshakes before we got on another bus and did the night tour to see the bridge lit up at night but sadly it didn't light up so we were a bit early. We saw the sunset over the harbour and was a lovely way to spend our last full say in San Fran. We went back to the hotel and I was in quite a bit of pain. I had a shower which was excruciating to say the least. I couldn't twist my arm properly so i knew it was bad. we then stayed in that night as we were tired and I was in pain. On the Tuesday, Michelle bandaged me up with my arm in a makeshift sling and Aimee and I set off to do the Alcatraz tour whilst Michelle went shopping. It was pretty cool to go across and see the island and we walked around it and saw inside the prison. We had our little radios so we could learn the history. It was a sad little place and we learnt about the riots which left some officers dead and prisoners. We saw where Al Capone stayed and how people attempted to try and swim it but the tide was to strong. Plus you do get some sharks out there :) We went to get the boat back and it was a massive queue and we almost panicked we wouldn't get on the next one but luckily we did. We popped into Hard rock and funny enough Olly Murrs was playing so we watched a bit of this before we had to run back to the hotel. We wanted to get the tram back down from the harbour, the famous one but the queue was massive so we had to jump on the bus as we were running out of time. We managed to get back in time but our transfer ended up being really late so we were rushing a bit for the airport. Our trip was at the end :( I didn't wear my sling in case they wouldn't let me fly..
We got back home, I watched a few films Jordy had picked us up from the airport and then Michelle dropped Aimee and I home. After I was showered I went to Mount Vernon and it turned out I had a hairline fracture in my elbow.. First break in my life!! It was a rubbish end to a great trip! I would totally recommend this trip to anyone.